Product evaluation throughout various stages of a design process is crucial to the final product’s success, and this may be a costly, time consuming and logistically complex process. Currently there are limited product design evaluation tools available to provide better support to the whole product design and development process. Virtual reality (VR) has matured to become useful technology to support efficient and effective product design and development applications. 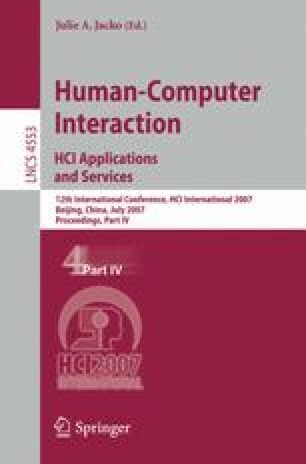 This paper reports an investigation on applying VR technologies to computer aided product evaluation. The research work has concentrated on: i) investigating the potential of emerging VR based technologies such as three dimensional (3D) haptic interaction and 3D stereoscopic viewing, ii) integrating and implementing these VR based technologies into a computer aided product evaluation application and iii) exploring the efficiency and effectiveness of these VR based technologies in comparison with traditional techniques used during the product design evaluation process.